The RV Storage Lot is currently filled for the Fall/Winter 2018 Season. Please check back in the Spring for availability! Inexpensive place to store your RV, Boat or Camper! 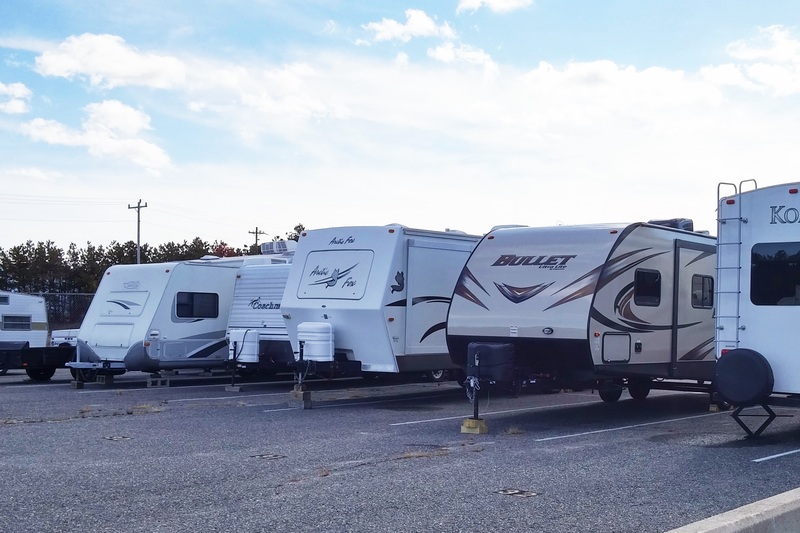 Base Cape Cod MWR offers a storage facility on JBCC for your RV, boat, trailer, or camper. Patrons will be assigned a space in the lot and have key access for their convenience. Storage plan options include monthly, bi-annual or annual. The lot is available to all MWR patrons living on or off base. This includes; Active Duty, Reserve, Guard and their families, Armed Forces Retirees, Coast Guard Auxiliarists, 100% disabled vets, DHS/DOD civilian employees. Questions on eligibility please call 508-968-6461. Year Round Storage – NO REFUNDS. Payments must be made in Cash or by Credit Card. Checks are NOT accepted. RULES AND REGULATIONS Policies and guidelines may be added and/or changed without notice and as needed by Wings Inn/MWR Management/Base Command to ensure the facility operates properly and safely. These rules are not all inclusive. Failure to comply with these and verbal instructions may result in your use of the facility being revoked. Renter’s Contact Information: It shall be the duty of the renter to furnish MWR Lodging with updated contact information and change in registration. A copy of the current registration is to be provided to staff prior to reserving a site. Lot Access: The renter will be provided with a key to access the storage facility once payment has been received and all forms completed. There will be a $30 fee for lost keys. NO EXCEPTIONS. Use and Occupancy: Renter agrees to use the space in accordance with the following terms: (1) Renter may not sublet the space or rent space for anyone other than themselves. (2) Volatile items may not be stored at the facility. (3) The space must be kept clean and free from loose items at all times.